Moving Locally Within The Bournemouth Area? Moving To Bournemouth? We Can Help! We are a local removal company, and have helped people to move to all areas around Bournemouth including removals to Poole, Christchurch, Wimborne, Ringwood, Ferndown, Parkstone, Boscombe, Dorchester and across Dorset. Why use Schepens for removals to Bournemouth? We take great pride in the skills and experience of our staff. All removers are trained to the rigorous standard created by the British Association or Removers (BAR). This means our removers have a thorough understanding of how to safely and efficiently move contents. It also gives you the certainty that removers will act professionally in accordance with BAR cargo packing recommendations. Our fleet of removals vehicles is designed and maintained to the highest standards to ensure that your move is trouble-free. They are fitted with an adjustable barring system and air ride suspension, to reduce the risk of cross-contamination or breakage during the move to Bournemouth. All vehicles used for south coast removals are alarmed and driven by trained professionals. The staff and vehicles involved in the removals process are comprehensively insured. If something does go wrong during the move, our contingency plans immediately come into play, taking care of any problems that have arisen. We offer clients a range of contents insurance policies to choose from — designed to suit all budgets and contents. The policy options will be clearly explained to you by one of our friendly move coordinators. All home removals to Bournemouth have the option of using our professional packing service. Our experienced and highly-trained removers will carefully pack your possessions, ensuring that they are suitably protected for the journey to Bournemouth. All Bournemouth removals are managed by one of our talented move coordinators. They are skilled and experienced staff members who have helped many clients move to Bournemouth over the years, They will walk you through the entire removals process, making your Home removal to Bournemouth simple and easy! 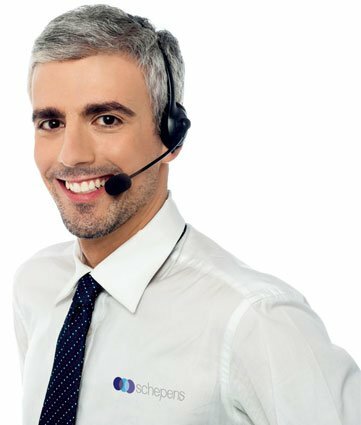 We take great pride in the customer service that we provide — you will be cared for as if you were a member of the Schepens family! All vehicles are driven by fully trained and insured professionals. Our vehicles are also alarmed, offering additional security and peace of mind for all removals to Bournemouth. We are also able to provide safe, secure and clean storage within easy reach of Bournemouth on a short or long term basis. Poole, Christchurch, Wimborne, Ringwood, Ferndown, Parkstone, Boscombe, Dorchester and across Dorset. If you need a removals company in Bournemouth, then Schepens has the experience, expertise and local knowledge to offer you a smooth, trouble-free move. Bournemouth is a traditional British seaside town located on the beautiful South Coast of England. From the 2-mile long pier to the old town and harbour, the town is a delightful retreat for visitors all year round. Bournemouth is also a thriving economical hot spot, and continues to be a popular base for companies of all shapes and sizes. From global corporations like LV Insurance and J. P. Morgan that have head offices is the area, to the wealth of independent start-ups and small business dotted throughout the pretty Victorian town and backstreets, Bournemouth continues to offer a great base for business. If you are looking to relocate your company to the area, or simply looking to move from one location to another, Schepens are always on hand to help making them the best business movers in Bournemouth. 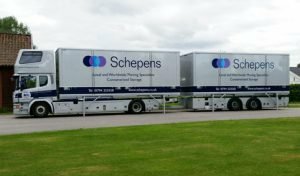 With over 100 years experience within the removals industry, Schepens offer a business moving service that is hard to beat. Offering dedicated and expert commercial removals throughout the county and the UK as a whole, every business move we undertake is completed on-time and within budget. We are on hand to assist businesses of all shapes and sizes to move to new premises. Whether you are moving to the next floor in the same building, or to an entirely new location, our professional and highly experienced removal teams can manage every aspect of your corporate removals in Bournemouth. Relocating your staff, equipment and belongings can be stressful, which is why a successful business removals company like ours carefully plans a dedicated course of action for every commercial move we undertake. From small internal moves to large scale multi-site relocations, you need a team with the expertise to swiftly and resourcefully relocate your business and its employees. We are able to assist you with moving your excess stock, provide expert teams to help with your IT moves and even provide help with storage within Bournemouth, recycling and other commercial services that can be just as important to your business. By offering comprehensive office relocations in Bournemouth that are tailor made to ease the discomfort of a big office move, we are the number one business movers in Bournemouth. With modern transportation vehicles, professional packing services and dedicated removal teams, we can ensure that every aspect of your business relocation in Bournemouth goes smoothly from start to finish. We deliver efficient and cost effective business relocation in Bournemouth and throughout the UK. We understand that your business only works when your offices are fully operational, which is why it is so important to carefully plan the right course of action for your move, as well as one that maximises efficiency whilst minimising both disruption and down time. Our business relocation team is available to work alongside you to carefully assess how best to move your business and will offer strategic guidance throughout the entire operation. IF YOU ARE PLANNING A COMMERCIAL OR OFFICE MOVE IN BOURNEMOUTH, SPEAK TO THE TEAM AT SCHEPENS TODAY ON 01202 377220. When it comes to reliable, affordable and professional piano removals for Bournemouth, our experience is unrivalled. Having been in business and proudly serving the local community for more than a century, we know what it takes to deliver not just pianos, but the total service package! We often find that it’s not until our customers first face the task of moving a piano that they realise what a huge undertaking it can be. Even the most modest of pianos can easily weigh in excess of 500lbs or even 600lbs. Plus, their very nature as fragile and sensitive musical instruments only complicates matters further. These days, you’ll find any number of Bournemouth removals companies claiming to offer full piano transportation. But if you’d prefer to get the job done properly and for the best possible price, Schepens has you covered! Whether planning a move into or out of the region, we can provide you with the complete removals and transportation service you need. Whenever we approach piano removals in Bournemouth, we begin the process with a complete analysis of the journey your piano will take from start to finish. For obvious reasons, there are many things that can stand in the way of a smooth and simple journey for something as large and heavy as a piano. For example, common obstacles like narrow doorways, uneven surface and difficult vehicle access can make it tricky to safely transport a piano from A to B. Nevertheless, having provided comprehensive piano removal services for more than 100 years, we’ve experienced and overcome every obstacle imaginable! We’ll gather all the information necessary before getting started, in order to formulate an efficient, effective and affordable plan. This way, we can ensure that your piano is transported safely, promptly and with no unexpected hiccups along the way. It’s by expecting the unexpected that we’re able to compensate for it – precisely what sets us apart from our rivals! Over the generations we’ve been in business, we’ve worked hard to earn a reputation that speaks for itself. Today, we’re proud to operate as the region’s most reputable, highly-recommended provider of comprehensive furniture removals in Bournemouth. We fully understand how stressful and demanding domestic relocations can be, which is why we’ll stop at nothing to make the process as smooth and simple as possible. Every member of our team has unrivalled experience in handling and transporting pianos and large, heavy items of furniture in general. We know the area better than any other removals specialist and guarantee a level of quality and professionalism that’s simply unbeatable. It’s when faced with the most challenging removals that the experience and expertise of the Schepens team truly shine through! For more information or to arrange a quotation, our customer service team is standing by to take your call. We can guarantee a safe and secure journey for your piano and what differentiates Schepens is that it gives each and every one of our staff a great personal delight to complete a move successfully and professionally. SCHEPENS HAS THE EXPERIENCE, SKILLS AND LOCAL KNOWLEDGE TO MAKE PIANO REMOVALS FOR BOURNEMOUTH A BREEZE! CONTACT US TODAY ON 01202 377220 TO GET A FREE, NO-OBLIGATION QUOTE. It takes a long time to learn a business properly and Schepens have spent the last hundred years working to become the very best at what we do. As a family-run firm Schepens has passed down through four generations now; we have worked through extraordinary periods of change in the UK, and moved thousands of families, but the thing that doesn’t change is that moving is a stressful event, and every family or individual deals with that stress differently. Schepens has built its reputation on the care and professional support our team of movers brings to every single job we take on, whatever the size. As house movers in Bournemouth we have worked with young families moving into their first home, older couples realising their dream of living by the sea, students moving away from home for the first time, second-home owners, holiday home owners, the list goes on and on. Every single move brings its own set of challenges, whether it’s a tricky point of access, lack of parking, narrow streets, a particularly big piece of furniture, or even too much furniture – and we’re proud to say that whatever the challenges, those hundred years of learning the trade has paid off and our experienced Bournemouth removals team has found a solution. Schepens is a first choice Bournemouth removals company because we put our customers at the heart of everything we do. We will start by carefully assessing the size of the move you are planning, taking into consideration furniture or goods that will need special handling due to size or fragility. We will estimate, to the best of our ability, the length of time the move will take, and share with you any local knowledge we have of your destination. Once we have all the information we need, we will provide you with a quotation for our tailor-made removals package. When you have spent over a century building your reputation, you take the utmost care to retain it. We run a fleet of state-of-the-art, alarmed removals vehicles and all our removals staff are BAR trained. We provide a reliable, efficient service undertaken in a friendly and professional manner. Most important, we understand the trust you’re placing in us as guardians of your home in transit and we take that responsibilities very seriously by treating your furniture and possessions as if they we our own. We have helped families move to all areas around Bournemouth including removals to Poole, Christchurch, Wimborne, Ringwood, Ferndown, Parkstone, Boscombe, Dorchester and across Dorset. SCHEPENS HAS THE EXPERIENCE AND LOCAL KNOWLEDGE TO PROVIDE YOU WITH TROUBLE-FREE FURNITURE REMOVALS TO BOURNEMOUTH. CONTACT US TODAY ON 01202 377220. Schepens are a family owned removals company that has been performing home removals to Bournemouth for more than 100-years. We know Bournemouth well and have the local knowledge necessary to make any house removal to and from Bournemouth a breeze. Schepens are regularly performing south coast removals, which allows us to offer very flexible delivery schedules to our clients. Because of the large volume of contents we move to Bournemouth, we are able to obtain discounts from fuel providers. We pass those discounts directly on to clients, providing them with the best value Bournemouth removals on the market. Bournemouth is a wonderful town that has a lot to offer! It is a very popular tourist destination because of its scenic backdrop and friendly people. It is also a fantastic place to raise a family, with a low crime rate, great employment opportunities and many more advantages. This article will take a look at the reasons why so many people are moving to Bournemouth before detailing the Schepens Bournemouth removals services. WHY ARE SO MANY PEOPLE MOVING TO BOURNEMOUTH? Bournemouth is a lovely coastal resort town with a population of more than 180,000 people. Founded in 1810, the city has grown from a small fishing town into a bustling township with a lot on offer. 1. People love living there! – The people living in Bournemouth love the lifestyle so much that a national survey in 2011 saw the town voted “the happiest place to live in the UK”! The town has friendly citizens, beautiful beaches, great restaurants, and great fresh food — which combine to make it a very happy place to live! 2. High-quality schools – The schools in Bournemouth are of outstanding quality. There are 26 primary schools in the borough, so there are plenty to choose from if you have young children. Bournemouth is one of the few local authorities to offer selective schools, ideal for particularly bright pupils. There are also two universities — Bournemouth University and Arts University Bournemouth. 3. A high standard of living – The standard of living in Bournemouth is very high, with great public infrastructure, a low unemployment rate, cheap food, and quality healthcare. 4. Wonderful history and culture – Bournemouth has been a popular tourist destination for well over a century when visitors first flocked to the health spa, and its handsome Victorian architecture and beautiful, award-winning pier stands testament to this. Bournemouth is also home to the famous Russell-Cotes Art Gallery. 5. Great beaches and parks – Bournemouth boasts seven miles of beautiful golden sands which are recognised as some of the most beautiful and well-kept beaches in the UK. The famous Upper, Central and Lower Gardens in the centre of the town are famous for their natural beauty and wide range of amenities. 6. Transport Links – Bournemouth is easily accessible by car, bus or train. The town is well-connected to the south-east rail network, and there are three local railway stations. Travellers from Bournemouth can be in London Waterloo in 97 minutes. 7. Superb shops – Much of Bournemouth town centre is pedestrianised, and this makes it a great place to shop! There’s also an amazing choice of shopping experiences, from Victorian shopping arcades, to Castlepoint, the UK’s largest retail park just outside the centre. 8. Great Property Investment Potential – Maybe it’s the air of happiness and contentment that Bournemouth breeds, but house prices continue to rise steadily in this area. Average house prices rose by 2.9% at the beginning of 2016, to £261,232 making this a great city to consider investing in. Here are some helpful links to make the move easier! We have helped people to move to all areas around Bournemouth including removals to Poole, Christchurch,Wimborne, Ringwood, Ferndown, Parkstone, Boscombe, Dorchester and across Dorset. WHY CHOOSE SCHEPENS FOR HOME FURNITURE REMOVALS TO BOURNEMOUTH? We have great local knowledge! Schepens have been performing Bournemouth removals for many decades. We know the area well, which helps us to provide a reliable and efficient removals service. Our staff can also provide expert advice when it comes to deciding where to look for a great property to move to in Bournemouth. The most popular areas for elegant three, or four bedroom semi, or detached houses are Boscombe and Winton. We would also recommend Charminster, South Bourne, Spring Bourne and Westbourne as popular residential areas with easy access to the full range of amenities Bournemouth has to offer.